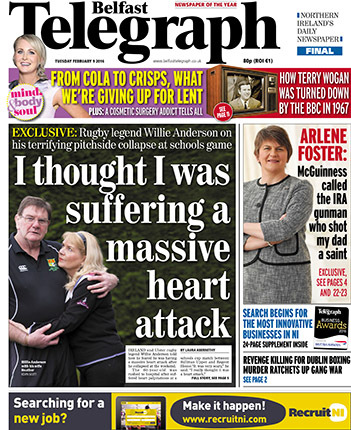 The Belfast Telegraph is Northern Ireland’s leading daily newspaper, boasting a proud tradition stretching back over 140 years. RE&D staff work closely with Telegraph editorial staff to design pages, sub news, features, business, comment and sport, and ensure that over 170,000 readers a day get their dose of their favourite newspaper. We also manage the content for the Telegraph’s iPad edition, as well as supplying the paper’s TV listings.